1 News 2.0 : can journalism survive the internet? Tanner, Stephen J. (Stephen John). Capture the essence of ”LibraryLand” – People, Places, Possibilities – and become the next famous photographer in NTU (and win the new iPad as well!) by participating in this photo contest. For more details and the terms & conditions of this contest, please click here. 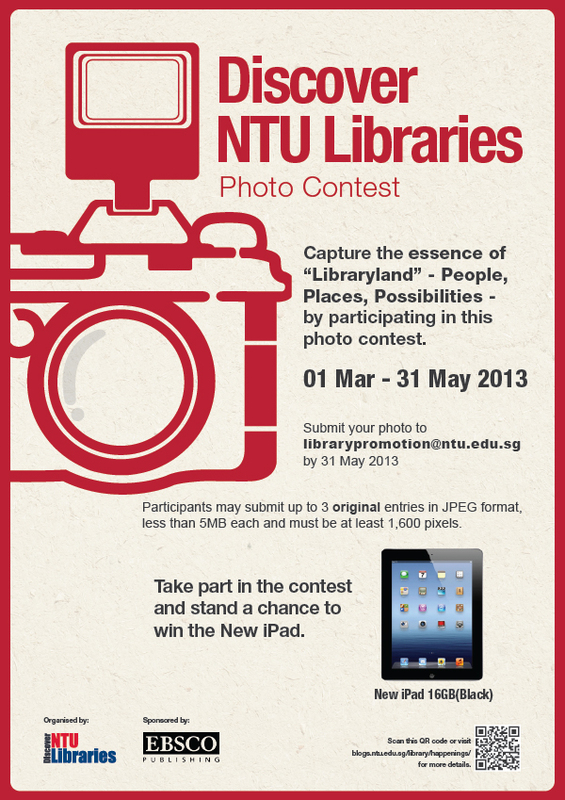 Submit your snaps to librarypromotion@ntu.edu.sg before 31 May 2013! ALA Editions, an imprint of the American Library Association, 2014. University of Notre Dame Press, 2013. Beinecke Rare Book and Manuscript Library. Beinecke Rare Book & Manuscript Library, 2013. University of Chicago Press, 2013. University of Alberta Press, 2013. Come and view the series of photographic essays by GO-FAR (GO Overseas for Advanced Reporting) students who visited Bhutan this year! This year the GO-FAR students visited Bangladesh for two week-long trips in July and September. Do drop by ACRC to visit their exhibition held from 12-30 October 2009! A stark contrast to its booming IT hub of Bengaluru (Bangalore), the rural side of Karnataka epitomizes one of the epic dramas of our age: the struggle for subsistence that continues in parallel with the creation of vast wealth in Asia’s economic revolution. The GO-FAR 2008 team will uncover this less-reported side of India’s transformation. GO-FAR (Going Overseas For Advanced Reporting) is a project inaugurated by WKWSCI in 2005. Its Laos Photo Exhibition will be held in ACRC (28 – 31 Aug 2007) and in Lee Wee Nam Library (4 – 14 Sept 2007). Do drop by and enjoy the marvellous works of the students!